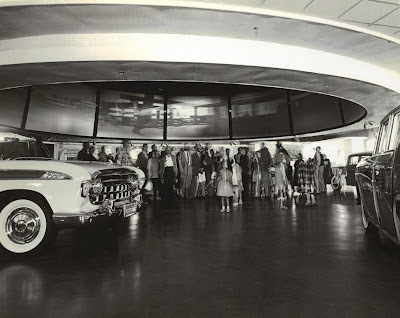 One of the earliest attractions at Walt Disney's fledgling theme park in Anaheim California was CIRCARAMA, a movie-in-the-round tour of the American West. 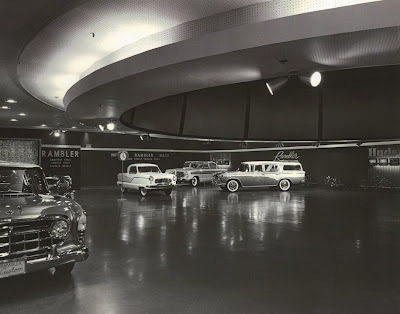 Visitors viewed the spectacle in a circular theater amid a floorshow of American Motors automobiles and Kelvinator appliances. Tour this postwar American dream at my blog today.